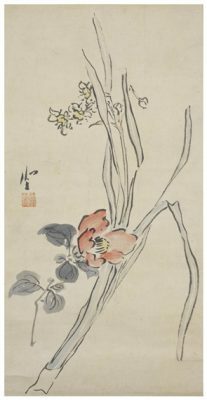 Watanabe Kazan (1793-1841) was a very thoughtful artist who came from Japan. 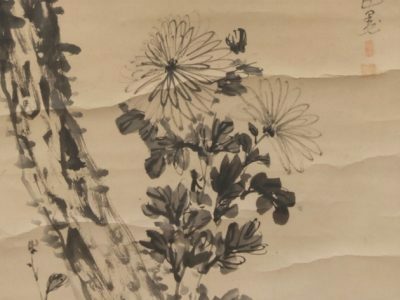 Ethics wise, the morality and wisdom of Confucianism impacted greatly on this exceptional artist. Therefore, Watanabe focused on helping ordinary people in the Tahara Domain (in the environs of Aichi Prefecture in modern Japan) during times of difficulty. Interestingly, like some other Japanese artist, much about Watanabe debases the theory of stratification and cultural norms that are associated with standard history books. 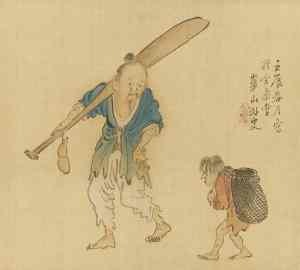 Hence, the relatively poor background he came from and the samurai family linkage did not impinge on the artistic and political doors that would be opened for him. Of course, Watanabe will always be remembered for the art he produced. However, for Watanabe, his diligence and that of other administrative workers in helping the people of Tahara, during the Tenpo Famine (1833-1837), is what he should be equally remembered for even if visually it can’t be seen. This applies to Watanabe, a senior political figure in his local area, helping people to the maximum. The outcome is that not a single individual died during this terrible famine. Therefore, Watanabe remained loyal to the ethics of Confucianism because he served the people of Tahara to the best of his ability by proposing genuine support. Sadly, the power concentration policies of the Tokugawa Period in this period of history meant that he suffered negative political ramifications. Hence, many restrictions were put on Watanabe, including being banned from selling his art. Yet, with this increasing his poverty then Watanabe still sold his art until being found to be breaking the rules. This resulted in the suppression of his art and house arrest. In turn, the house arrest of Watanabe meant that Tokugawa officials could impinge more on the ruling lord of Tahara and this pained Watanabe too much. Overall, Watanabe will always be remembered for the amazing art he produced. Despite this, the man of ethics and virtue should equally be remembered for his role in helping the people of Tahara during the terrible Tenpo Famine that blighted Japan. 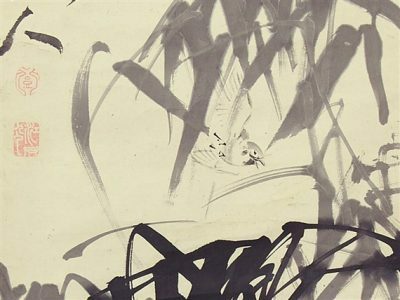 Equally, by knowing the virtues of Watanabe who abided by Confucianism, then his art reaches a deeper spiritual and philosophical dimension. I love Confuses in a well managed country poverty is something to be ashamed of But in a corrupt country wealth is something to be ashamed of .